Lifehack is a casual script hand made typeface created by Veneta Rangelova and published by DearType, a small type foundry dedicated to creating exclusive fonts with a personal touch, based in Bulgaria. 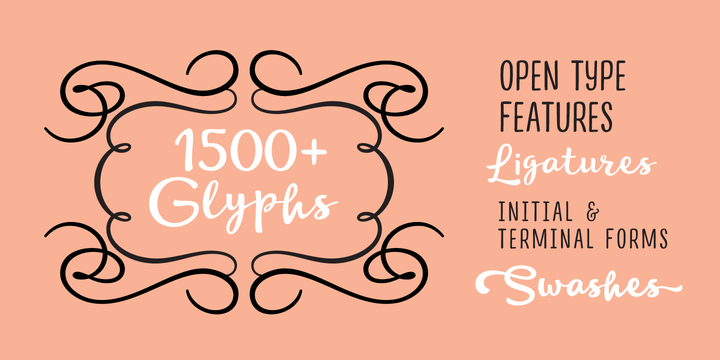 Featuring over 1500 glyphs, script , narrow, basic and ornaments styles, Lifehack is warm, organic, elegant making it perfect for added personality when used in poster, cards, packaging, websites, logos etc. Hack your designs with Lifehack! Price: starting from $30 for one font, with all 11 fonts for only $100. A font description published on Tuesday, November 10th, 2015 in DearType, Fonts, Veneta Rangelova by Andrei that has 11,904 views.